Ibn al-Qayyim makes the point in Ahkām Ahludh-Dhimmah (1/99) that in general, the Sabeans were better than the Magians. 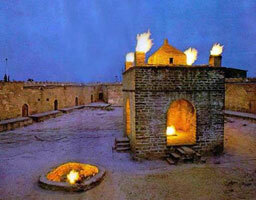 The Magians or Zoroastrians (Arabic: Al-Majoos), in terms of religion, are worse than the Jews, Christians and Sabeans – indeed they are the worst of cultures in terms of religion. They have no adherence to any revealed book nor affiliation to a revealed religion. For this reason, when the Persians defeated the Romans (i.e. the Christian Byzantines) at the time of the Prophet (peace and blessings be upon him), the idolators of Makkah rejoiced at the victory of the Persian Magians, because they were similar to them. The Makkans also were not people of any revealed scripture (just like the Persian-Magians), and so they behaved wickedly towards the Muslims of Makkah. Later, when the Romans defeated the Persians, the Muslims rejoiced because the Christians are closer to the Muslims than the Magians due to the fact that the Christians have a revealed book. The Magians believe in the concept of dual deities (gods) or supreme forces which oppose each other. Their god, Ahura Mazda, “existed in light and goodness above, while the god of evil, Angra Mainyu, “existed in darkness and ignorance below.” They have existed independently of each other for all time, and make themselves manifest in opposing materials. 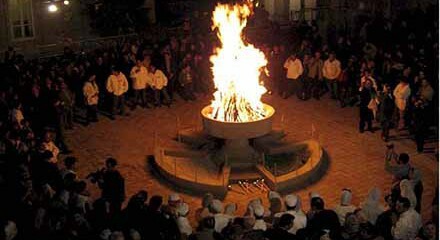 Zoroastrianism appeared in Iran (Persia) at around the 6th Century BCE, and Zoroastrians (Magians) worship in the presence of some form of fire because they consider it a medium through which spiritual insight and wisdom are attained – and water is treated in much the same way. For this reason, they are often referred to as ‘fire-worshippers” and they were renowned for their building of temples of fire. They have survived until this time and live mostly in India and Iran.